Hi! We are Kraig and Anne Elliott. We’ve been married since 1993, and we have seven kids — ages 23, 19, 18, 16, 14, 11, and 9. 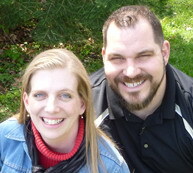 We homeschool our kids, design websites, and are working to start a local congregation outside Lansing, MI. We’re passionate about lots of things, but we most want to get to the ends of our lives and know that our lives made a difference for God’s kingdom. Over on Anne’s personal blog, you’ll find lots of help for wives and moms — all about how to glorify God in your marriage, parenting, homeschooling, and homemaking. We’re also developing curriculum and how-to books for homeschoolers — practical for large or small families, but firmly based upon God’s Word as our primary textbook. Looking for our doctrinal statement? You can find it here. You can find Foundations Press on Facebook, where we’ll give you links we find while cruising the Internet, plus enjoy talking with you about your day. Finally, feel free to email us, and we’d be happy to write you back!